Financing offered to blacklisted individuals. Financing a car may be easier than you think. 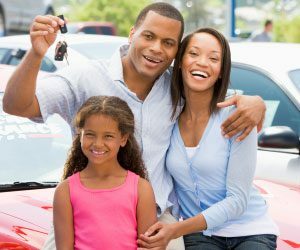 Earn-a-car offers car finance to blacklisted people who consequently cannot get car finance. Buying a car while blacklisted might seem impossible but there are companies willing to offer support to individuals who have been blacklisted, or have obtained bad credit. Vehicle transportation should not have to be another concern. You might be asking, how it works. You simply select the best-suited deal for you; you will also be entitled to earn R300 cash back on every monthly payment you make. In the agreement, you will be credited with the upfront fee against the purchase of the car of your choice. It is the fastest way to pay off your vehicle finance plan and with Earn-a-car, you can do this in as little as 54 months. Customers will find a host of other great services such as vehicle breakdown assistance, a fee towards servicing costs, accident management and support, comprehensive warranty plan, Matrix vehicle tracking, immobilisation and emergency response system and a towing subsidy, to name a few. It is the perfect way to own your own car, with the added benefits and features which otherwise would be costly. At Earn-a-car, they are dedicated to delivering professional service and a possible solution to those who are having trouble financing a car. Contact Earn-a-car today if you are thinking of buying a car whilst blacklisted, you will find the best vehicle finance assistance.